Why are Retin-A and retinol still at the center of so many anti-aging skincare programs? The answer, many dermatologists say, is simple: they work. Retin-A was first used topically more than 20 years ago to treat acne. 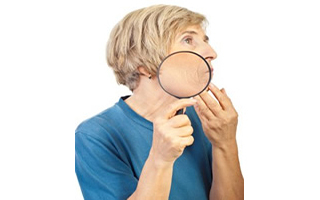 Patients noticed a side effect from applying the Retin-A — smoother and more vibrant skin with a softening of wrinkles. In 1988, researchers from the University of Michigan conducted the first double-blind study of Retin-A’s effect on photodamaged skin. The doctors found that all 30 patients who completed the 16-week study showed statistically significant improvement. Since then, retinol, along with its relative retinyl palmitate, has become one of the most common active ingredients in skin care. But you may not know exactly what retinol is, why it can help your skin, or why you still need to be careful with it. Retinol and retinyl palmitate are both forms of vitamin A. Vitamin A is great for your skin when you get it internally through your diet, but it can also be beneficial when you apply it externally. When you apply it externally, vitamin A works in a form called retinoic acid. 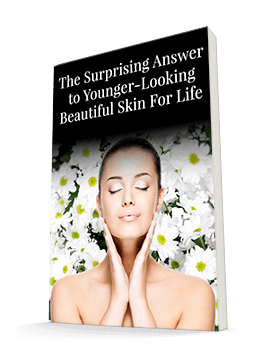 Retinoic acid and its analogs are called retinoids, and they are what help turn back the clock for your skin — they actually work to remodel skin on a cellular level. Retinoids help regulate cell proliferation and differentiation, which means they even can have an effect on cancer treatment and prevention. But their effect on skin’s appearance involves helping the skin shed old cells and helping healthy new ones take their place. Because they’re so powerful, they need to be used carefully so they don’t irritate sensitive skin. However, our skin cells can actually convert vitamin A into retinoic acid themselves, so you can experience the benefits of retinoic acid without risking the side effects of applying it directly. While using retinoic acid may get you faster, more powerful results, you will often need a prescription for these products (such as the popular wrinkle-fighters Retin-A and Renova), they can be expensive, and they can irritate sensitive skin. If you back up a few steps along the metabolic pathway, your skin may be able to handle the formula better. That pathway looks like this: retinyl palmitate converts to retinol, which converts to retinaldehyde, which converts to retinoic acid. The concentration decreases with each step along the pathway, so you have to start with a large amount of retinyl palmitate to end up with a significant amount of retinoic acid. That’s the bad news. The good news is you can receive the benefits of retinoic acid in smaller doses if your skin can’t handle prescription-strength products. All you have to do is use Système 41’s Night Treatment and Day Crème, which both contain retinyl palmitate. This is a great way to help your skin benefit from the protective and restorative effects of vitamin A without worrying about the potential for harsh side effects found with prescription Retin-A. Many women using Retin-A or Renova use it two or three times a week, to avoid any harsh reactions. Then they use more gentle solutions – like Système 41’s Day and Night creams the rest of the week.